This story is told in short chapters from the perspective of each of the three characters, Elias, Honoria, Shohei. The three attend the Preshtigo School in Chicago. They have been best friends for nearly as long as they can remember but now some cracks are showing in their friendships. Honoria likes Shohei, Elias likes Honoria. But that is not all their problems; Shohei has been allowed to duplicate Elias's science fair project to verify the results. But he is not holding up his end of the bargain. 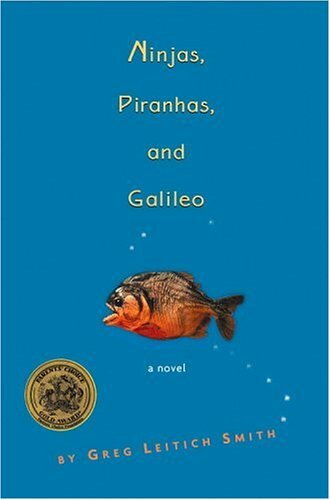 This is a story with boa constrictors, piranhas, and science fairs gone awry. It is also a story about friendships, forgiveness and learning to make things right. Written in a way that will make you laugh, make you smile and maybe learn a little science along the way. It is a wonderful novel and won the Parent's Choice Gold Award. It was a great, fun read.